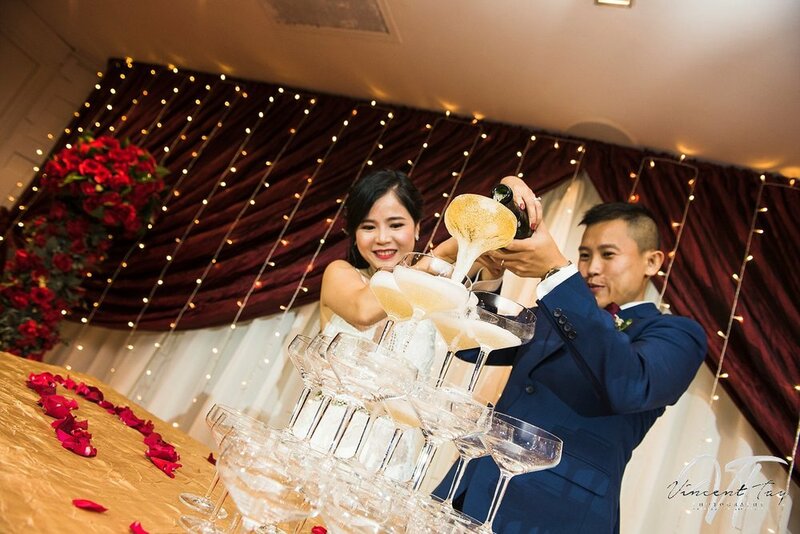 Actual Day Wedding Photography Singapore of Deano & Rachel. 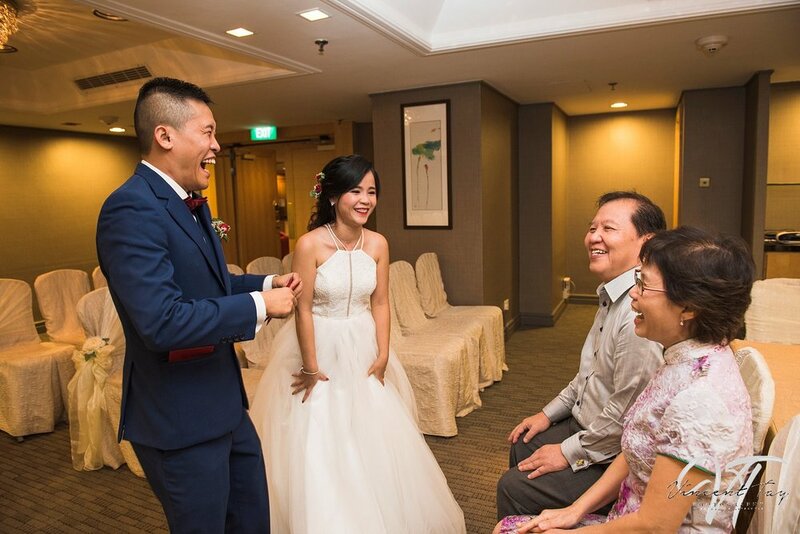 Their wedding was a simple one with only tea ceremony and a banquet dinner at Marina Mandarin. 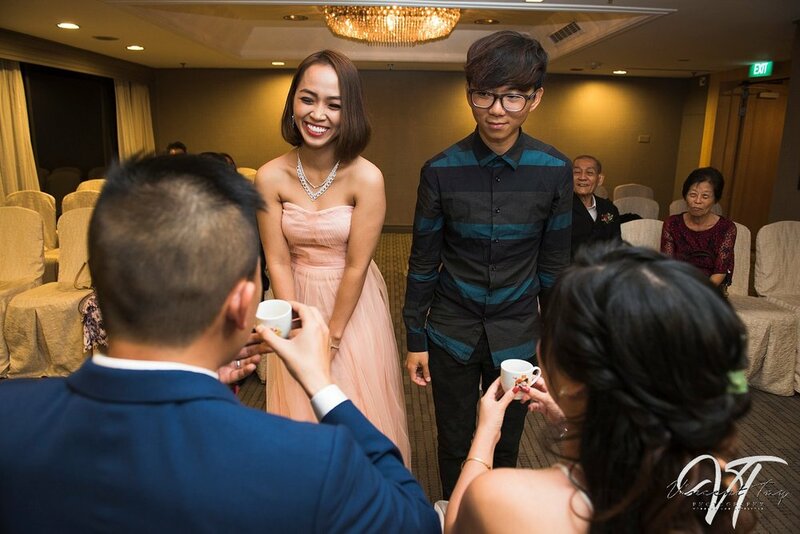 They are having a transnational marriage where Deano is from Singapore & Rachel is from Vietnam. 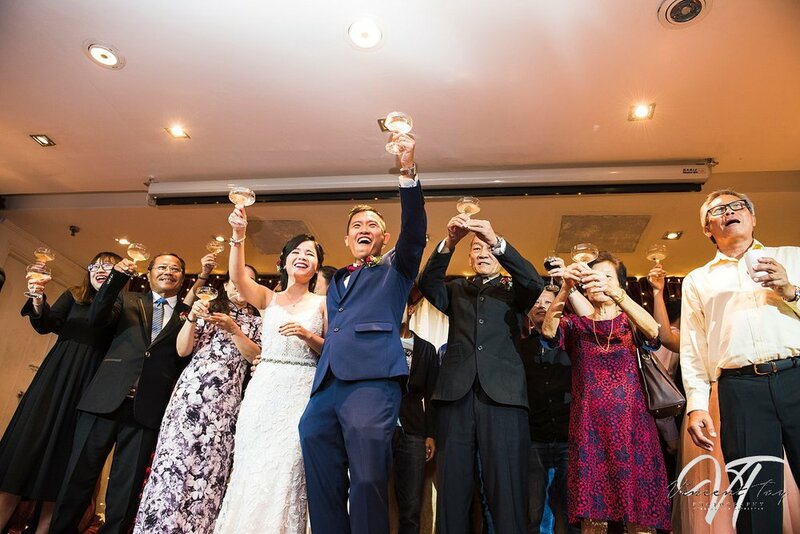 During their banquet, they shows a video highlight of them having their traditional wedding at Vietnam. 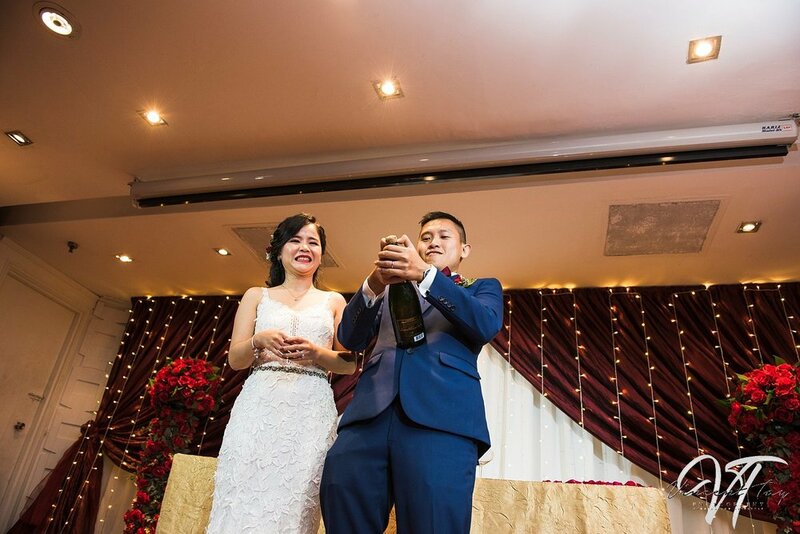 It is really amazing to see two people from different part of the world, with different culture and background falling in love with each other and finally got married. They must have come a long way. Deano & Rachel personalities I felt are friendly, warm and fun-loving people by observing the way they mingle with their friends. 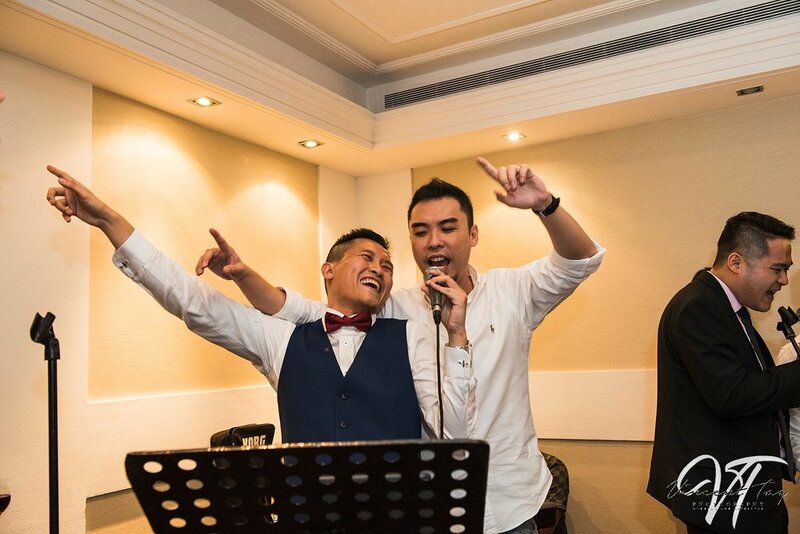 They even had a live band playing during their banquet, personally found it really give a romantic atmosphere for the wedding. Deano and a few good friends were also very sportive as they sing live to their guest. Some of their guest even sing along and waves their hands together in the air with the music. Many of them really enjoyed themselves with beers. 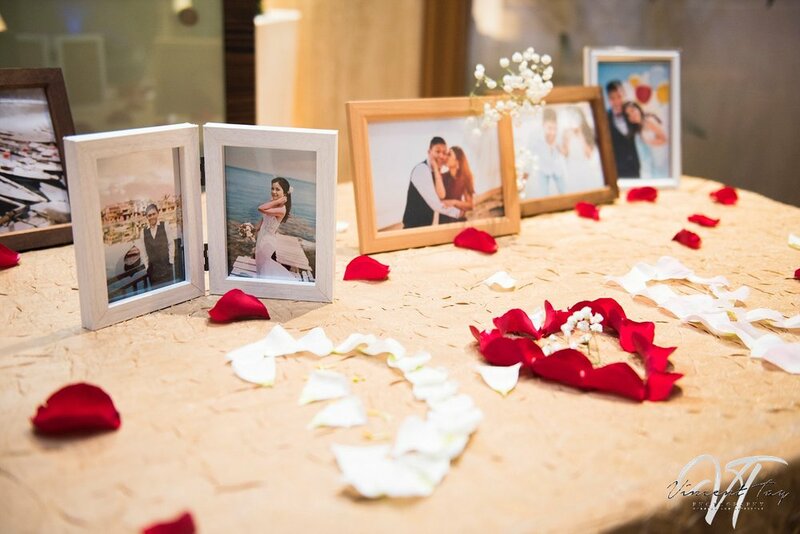 ”Best wishes on your wonderful journey, as you build your new lives together. 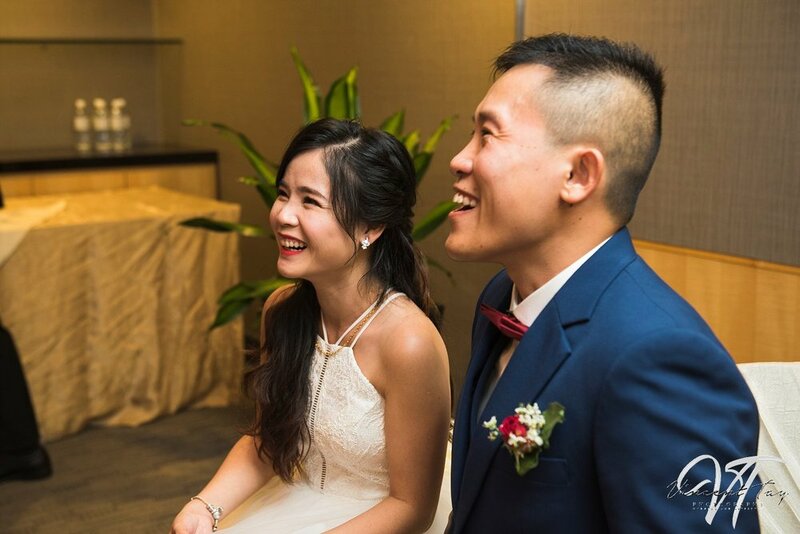 Thank you for engaging my Actual Day Wedding Photography Singapore photography service"
If you are looking for Actual Day Wedding Photography Singapore photography. 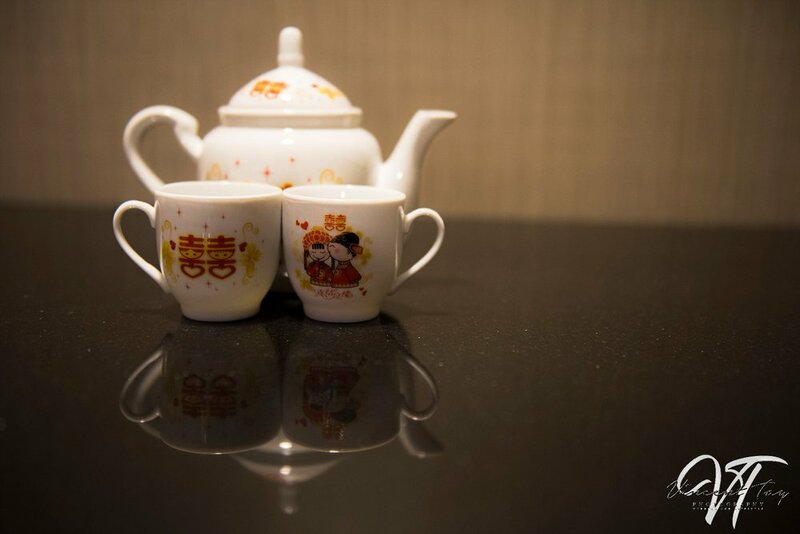 Speak to us now by call/whatsapp to +65 98263338 or fill up the form below.